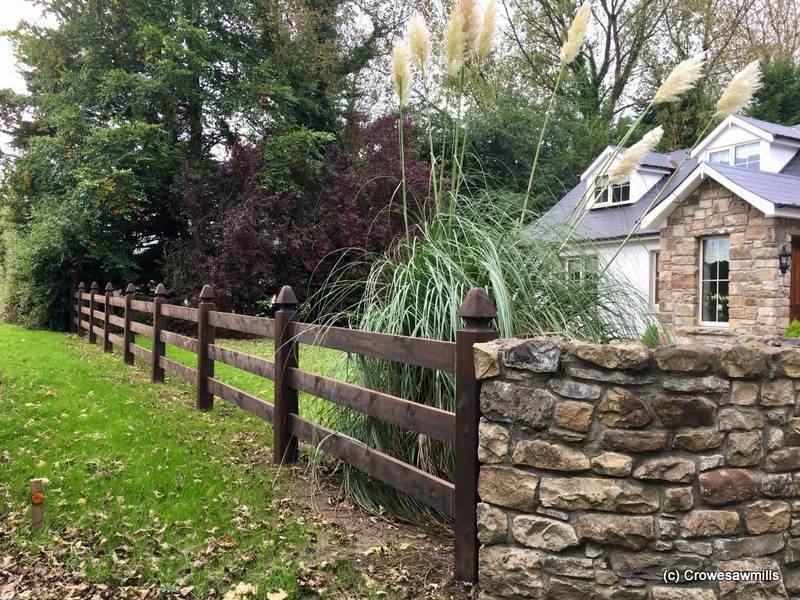 Our 3 – rail morticed fence, made from 1.8m 150 x 150mm Larch posts special top morticed with 4.8m 150 x 44mm Rails. Customer cresoted fence after being fitted. Fence is 1.2m high.